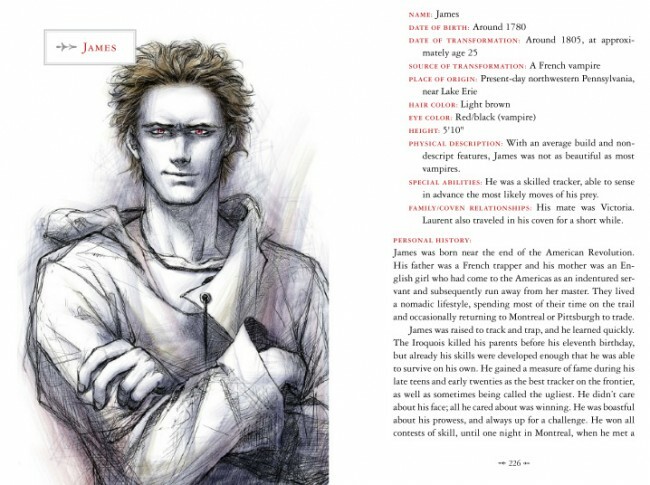 The Twilight Saga: The Official Illustrated Guide EXCLUSIVE… JAMES! You don’t want to miss this EXCLUSIVE look at James in The Twilight Saga: The Official Illustrated Guide! He was known as “…the best tracker on the frontier…” The guide is being released April 12th! Don’t forget to add your comments to our countdown each day, and be on the lookout for a give-a-way soon! To check out more news, you can visit TheTwilightSaga.com. You can also download the PDF file from the link below! Log in | 56 queries. 1.030 seconds.